Design process of block machine, concrete batching plant and wall panel machine. To learn what our clients need, like application, capacity requirement (cbm/hr), specification, required equipment. To know our client’s local constraints, like local regulations, the footprint of the plants, the foundation, the power, the environmental factors. Then sort out the specification list, and design the layout drawing for our client approval, and then design the foundation drawing and electrical schematic map. Purchased components for block machine, concrete batching plant and wall panel machine. 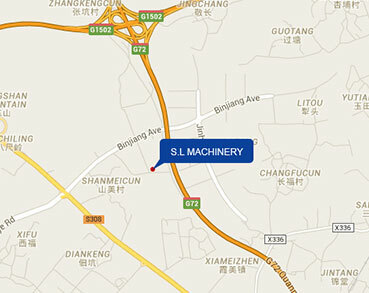 We selected famous brand for our main components, to make sure the reliable quality and can get it easily if breakdown. Manufacturing & Pre-assembly process of block machine, concrete batching plant and wall panel machine. Sanlian selecting the standard steel, cutting with CNC cutting machine, welded by skilled worker, and Q.C. 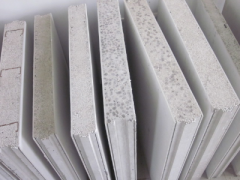 do the inspection strictly throughout the manufacturing schedule to guarantee the quality. 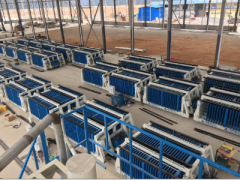 All plants will be pre-assembly before the painting in the factory, and the air-pipe, butterfly valve, air cylinder, and load cells are pre-positioned in the factory. All control panels, power panels are pre-wired according to the electrical schematic map in the factory. All motors are protected by wiring with individual circuit breaker, to make sure it safety and maintenance easily. 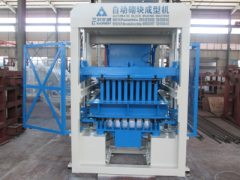 Painting process of block machine, concrete batching plant and wall panel machine. All pneumatic components, like air cylinder, butterfly valve are tested to make sure it can control door open and close well prior to shipment. All control system will be tested to make sure it can be run both by manual and automatic before shipping. Our experienced engineer will be on site to guide the installation of mechanical structure & equipment, pneumatic system, external packing (enclosure). Electrical wiring, calibrate the system, and commissioning the batching plant manually and automatically. 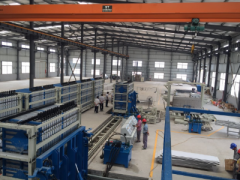 Training to operate the plant, do maintenance of the block machine, concrete batching plant and wall panel machine. and trouble shooting. Engineer on-line or telephone support 24/7/365. If requested, engineer can be on-site support. All standard mechanical components and electrical elements are available in stock, can be sent out in 48hrs. Relocation and overhauling for used block machine, concrete batching plant and wall panel machine upon requested.